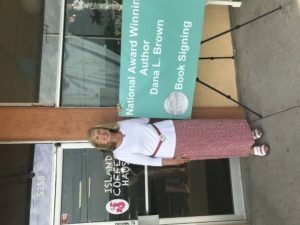 Years ago I knew that someday I wanted to write a book that would take place on Anna Maria Island, Florida. It was a really long time from that goal to the completion of Lottie Loser, but it happened, and I couldn’t be happier with the outcome. Why AMI, you might ask? In the early seventies my parents retired and bought a condo on Long Boat Key. They didn’t plan for Florida to be their permanent home, but they fell in love with the area, and never looked back. From the condo they bought a house, and eventually built a home at Key Royale, in the sleepy little village known as Anna Maria Island. Today AMI is booming, the sleepy little village a thing of the past, but our family still loves it, and travels there as often as possible. 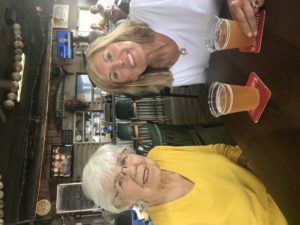 My parents sold their home and moved inland quite a few years ago, and sadly my dad passed away, but mom is still active and goes to the island every Sunday after church for brunch. Because of my book series I get asked a lot for recommendations on restaurants and places of interest on the island. Since this is spring break season, I thought it would be a good time to share our family favorites. I’ve given you options to get your vacation started but you’ll want to find your own pieces of paradise, and that can only happen by exploring this charming island, and taking chances. You can’t go wrong…just go, and start making your own memories. James Rowlands Author, Composer and My 1000 Twitter Follower! Sounds like a wonderful place to visit! I had to look up Anna Maria Island on a google map. I realize how little I know about Florida! Will you have your book launch #3 there?